In this third installment, Okayafrica speaks with Xiomara Rosa-Tedla, co-founder of father-daughter business, UnoEth, specializing in high-quality, handmade leather goods sourced from Ethiopia. 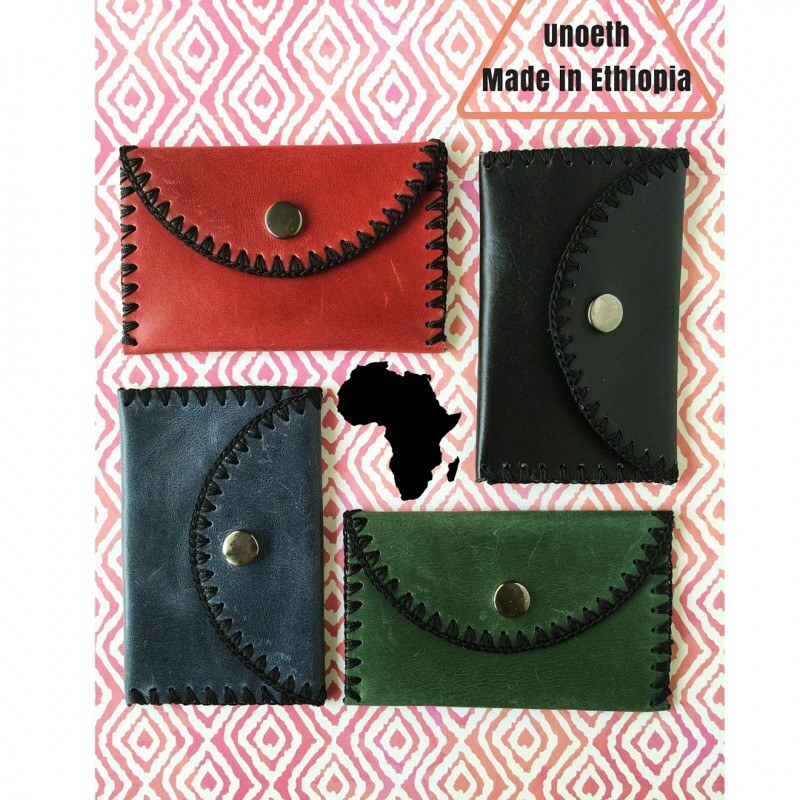 It’s been ages since I last spoke with Xiomara Rosa-Tedla, who forms one half of father-daughter owned business, UnoEth, specializing in one-of-a-kind, handmade leather goods sourced from Ethiopia. Xio and I became friendly in the seventh grade, but we mostly lost touch once I relocated to Utah in the eighth grade, so it was very exciting for me to find out via Facebook that she had made the leap from working as an assistant buyer for Pottery Barn into full-time entrepreneurship. 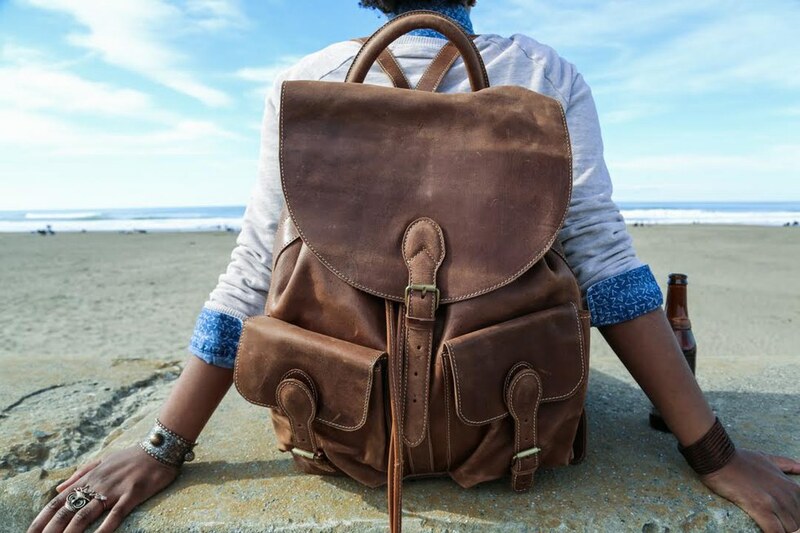 Xio, who is based in the East Bay of California, tells me over our Skype call that UnoEth was born after her dad, an Ethiopian-born political science professor, gifted her a custom leather messenger bag from one of his trips home to Ethiopia. When commuters and coworkers repeatedly inquired about the bag, papa Tedla realized there might be a business opportunity waiting to be explored. Xio tells me initially she resisted her dad's suggestion, “I was like ‘stop with the idea’," she says, until the corporate grind pushed her to consider, why the hell not? 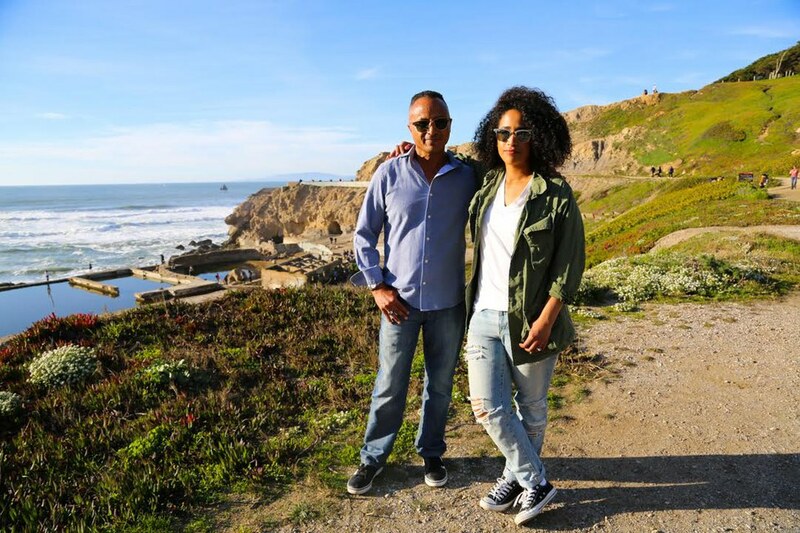 Since selling her first bag crafted by Ethiopian artisans at Treasure Island Market—where the father-daughter duo vends on weekends—in February of 2015, Xio has discovered the beauty of being able to plan her days, which begin at 6 a.m., as she wishes, and that working with her dad can be fun. Below are snippets (edited and condensed) from our conversation about UnoEth, which just wrapped up its first crowdfunding campaign and has its coin purses featured in the August edition of Ujamaa Box. Erin C.J. Robertson for Okayafrica: Who is Xio? How would you describe yourself? I'm a daughter of an Ethiopian immigrant, and I'm Puerto Rican. My dad is Ethiopian. My mom is Puerto Rican, and I've had this background of lots of culture. My mom is an entrepreneur and that really inspired me. My grandma was an entrepreneur. She started a business at 70 years old. I was inspired by lots of dreams. I've always had a lot of dreams and I think they've really transpired into why I wanted to be in business. How would you describe your path to entrepreneurship? Yeah, it's just been a crazy ride. I launched my business with my dad in February of last year. I was working at Pottery Barn. When you're an assistant buying merchandise, you are the owner of your department. You are responsible for the health of how that business is growing. That really inspired me. I just realized I wasn't a corporate girl and that I really wanted to make the decisions and really dictate how I wanted my life to play out instead of someone else telling me how to live my life and how I was supposed to do my work. How did you make the decision to start a business with your dad? What has it been like navigating that relationship? One day, [when] my dad came back from Ethiopia he brought back a custom messenger style bag and I was like ‘Oh dad I love this it's beautiful. Thank you so much.’ I used to commute from Oakland to the city every day for work and everyone commented on my bag. Strangers would come up to me or my coworkers were asking when my dad was going back so they could place orders with him. Working with my dad is fun. There are times when we disagree, or [I] realize that he didn't go to school for this. I did. He is a professor in political science, so it's a little different territory for him. He never worked retail. I've worked retail. The gears simply shift when he's asking me what to do. My whole life, I'm asking 'Oh dad, how do I buy a house? How do I apply for college? Where do I go to get my tires?' Now in business he's asking me questions. It's very collaborative. And then when we do have disagreements, I must admit I'm kind of snappy. It's something I work on in being more respectful. Just like you have to watch your tone. Patience is key, especially when working with family. Could you describe the moment when you sold your first bag? When I sold my first bag, it was at Treasure Island Market in February of 2015. I had been up all night. I was working on the website because I wanted [it] to be live before we got to the market. When I sold my first bag [after] she left out of my booth, I did a dance because I was like 'My first sale, oh my gosh! She really loved it, it's awesome.' It was great. I was ecstatic. I was really proud of the work that my dad and I had done at that moment, because it was just like obstacle after obstacle after obstacle with getting the product in general. It was really tough, so it was a really gratifying moment. I still remember talking to the first customers, too. What books, podcasts or other media have helped you get into an entrepreneurship mindset? Mindset is so key. What you feed your brain, what you tell yourself is so important. I love Think and Grow Rich by Napoleon Hill. That is tried and true, my guide to life. Personally just for my mental health, I was really inspired by The Secret a long time ago by Rhonda Byrne. People may say it's cheesy or whatever, but the message is really important. I listen to Sophia Amoruso's podcast called 'GIRLBOSS'. And then there's another podcast I listen to called 'The Action Army.' Then another one called 'The Daily Boost,' which is a motivational podcast. I write in a gratitude journal every day. I write down what I'm grateful for and the items that I'm willing, attracting into my life, so I can keep my goals intact and maintain that mindset. In business, there's never a straight line up. Entrepreneurship is not easy. If it was easy everyone would do it. When you reach those obstacles, you have to remember to be grateful for the things you have. I saw that UnoEth coin purses are featured in Ujamaa Box for August. How did that collaboration come about? We [Ebony Costain, founder of Ujamaa Box] found out about each other on Instagram. I liked a couple of her photos. She liked a couple of mine and she reached out to us via email and had a question about our coin purses. She mentioned that she’d really love to feature those and I was like 'Oh my God, this is great.' It's a great partnership and a great opportunity. It's been a really seamless collaboration. We are so grateful to be part of it. I believe in what her business [stands] for, promoting black businesses and keeping black dollars in the black community. I'm very grateful for social media so that we can be so much more connected. How has UnoEth changed you and what are the biggest lessons you've learned so far? UnoEth has taught me that everything is going to be okay—when we hit obstacles or when my shipment hasn't landed, when we're sold out of items that I won't get in another 30 days—it really teaches me to take a step back, breathe, restrategize if [I] need to, and keep on pushing. It's not the end of the world. There's another way that it can get it done. It's taught me to be open-minded, to be open to new opportunities. It's also taught me that opportunities are endless too. It's changed me in a sense that I think I'm stronger mentally. I'm definitely way more confident in myself. I never knew I would start a business. If you'd asked me this two years ago, I would have been 'Oh yeah, sure.' Life is full of surprises, and mysteries. It's really been a blessing, and it's made me and my dad [closer]—we were already talking twice a day. I'm a daddy's girl. It's definitely really strengthened [our relationship]. It has also made me much more grateful for the endless amount of support we have received from friends, family, customers and business partners. Starting a business...what makes it great is that it's yours. Is there anything else you want to add before we wrap up? If I were to give a tip, or advice to an entrepreneur that's just starting, [I’d say] if you have an idea just write it down and start to brainstorm on it. As soon as you put that thought or information out in the world, you won't believe how things are going to be attracted to you because of that idea, that thought. If you have an idea go for it. If you want to collaborate with whoever it may be... don't be scared. Don't talk yourself out of things for no reason. Really it's all a mental game. If you keep your mind right, everything's going to be great.